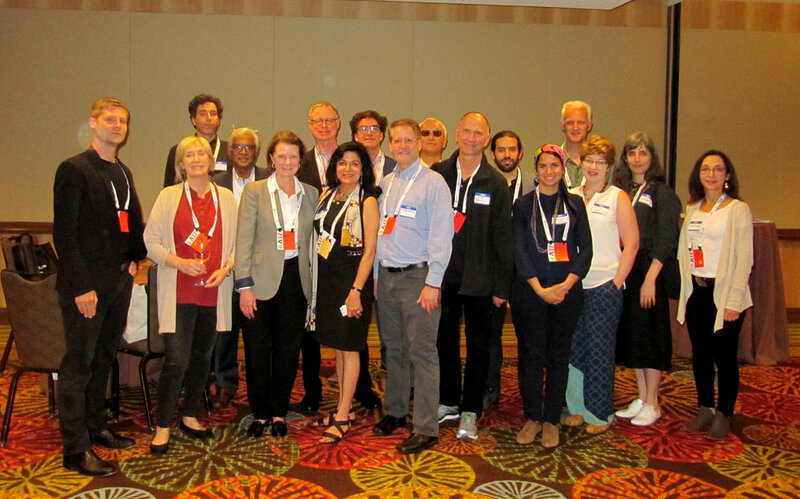 MITArchA would like to thank everyone who came to the reception hosted at the AIA Convention in Orlando by Mina Marefat, MITArchA VP of Communications and John Klein, Research Scientist at MIT. More than twice the number initially registered attended the gathering and were encouraged to join. Several attendees had been to the AIA Philadelphia as well as a number who came for the first time. The mission and activities of MITArchA in various cities including New York, Hong Kong, Detroit, DC, and Cambridge and was discussed and John Klein (who teaches at MIT) gave a synopsis of activities at SA+P.